Activity Diagram A UML Diagram that shows a workflow process, particularly focused on communication and the actors involved in that communication. Introduced as part of the HDF as part of the requirements analysis for HL7 standrads. ANSI American National Standards Institute. Founded in 1918, ANSI itself does not develop standards. ANSI’s roles include serving as the coordinator for U.S. voluntary standards efforts, acting as the approval body to recognize documents developed by other national organizations as American National Standards, acting as the U.S. representative in international and regional standards efforts, and serving as a clearinghouse for national and international standards development information. Attribute Type The last part of an attribute name (suffix). Attribute type suffixes are rough classifiers for the meaning of the attribute. See also Data Type for contrast. Authenticated Document A status in which a document or entry has been signed manually or electronically by one or more individuals who attest to its accuracy. No explicit determination is made that the assigned individual has performed the authentication. While the standard allows multiple instances of authentication, it would be typical to have a single instance of authentication, usually by the assigned individual. Auxiliary Application An auxiliary application neither exerts control over, nor requests changes to a schedule. It is only concerned with gathering information about a particular schedule. It can be considered an “interested third- party,” in that it is interested in any changes to a particular schedule, but has no interest in changing it or controlling it in any way. It may gather information passively or actively. An auxiliary application passively collects information by receiving unsolicited updates from a filler application. Blue Button an ASCII text based standard for heath information sharing first introduced by the Veteran’s Administration to facilitate access to records stored in VistA by their patients. The newer Blue Button + format provides both human and machine readable formats. A biosensor is an analytical device which converts a biological response into an electrical signal and wearables are on or in body accessories that enhance user experience. Biosensing wearables can monitor changes in physiology and the external environment. They are easy to use and provide useful, real-time information by allowing continuous physiological monitoring in a wide range of wearable forms. CDC (Centers for Disease Control and Prevention) the federal agency focused on disease in the community. DNS (Domain Name System) the naming system for computers, services, or any resource connected to the Internet (or a private network). Among other things, it translates domain names (e.g. eBay.com) to the numerical IP addresses needed to locate Internet connected resources. A set of records that clinicians control to co-ordinate their team work within and between healthcare teams. A set of records that the patient controls and which allows the patient to work with their clinical team across institutional boundaries. GELLO a programming language intended for use as a standard query and expression language for clinical decision support. Now compatible with the HL7 version 3.0 Reference Information Model (RIM). HTTP (Hypertext Transfer Protocol) a query-response protocol used to transfer information between web browsers and connected servers. HTTPS is the secure version. ICD (International Classification of Disease) the World Health Organization’s almost universally used standard codes for diagnoses. The current version is ICD-10 and it was adopted in the US on October 1, 2015 -- well after most other advanced countries had moved to it. IHIP Integrated Health Information Platform. An Integrated Health Information Platform (IHIP) is being setup by the Ministry of Health and Family Welfare (MoHFW). The primary objective of IHIP is to enable the creation of standards compliant Electronic Health Records (EHRs) of the citizens on a pan-India basis along with the integration and interoperability of the EHRs through a comprehensive Health Information Exchange (HIE) as part of this centralized accessible platform. IP Address a 32 bit (the standard is changing to 128 bit to accommodate Internet growth) number assigned to each device in an Internet Protocol network and that indicates where it is in that network. Interoperability the ability of diverse information systems to seamlessly share data and coordinate on tasks involving multiple systems. LDAP (Lightweight Directory Access Protocol) is a protocol for accessing (including searching) and maintaining distributed directory information services (such as an email directory) over an IP network. MIME (Multipurpose Internet Mail Extensions) the Internet standard for the format of email attachments used in Direct. S/MIME is the secure version. MLM (Medical Logic Module) the basic unit in the Arden Syntax that contains sufficient medical knowledge and rules to make one clinical decision. Moodle (Modular Object-Oriented Dynamic Learning Environment) is one of the most popular open source Course Management Systems (CMS). It is written in PHP programming language and distributed under the GNU General Public License. Moodle was created by Martin Dougiama to help educators to create online courses with a focus on interaction and collaborative construction of content, and it is in continual evolution. Medical and public health practice supported by mobile devices (mobile phones, smart phones and tablets), patient monitoring devices, personal digital assistants (PDAs), and other wireless devices. Utilising a mobile phone’s core voice and short messaging service (SMS) and more complex functionalities and applications including general packet radio service (GPRS), third and fourth generation mobile telecommunications (3G and 4G systems), global positioning system (GPS), and Bluetooth technology. A software application that can run on a mobile platform (i.e. a handheld commercial off-theshelf computing platform, with or without wireless connectivity) or a web-based software application that is tailored to a mobile platform but is executed on a server. Online discussion groups allowing patients to learn from peers and professionals including how to understand their own data. They provide access to relevant, timely information and support others with similar conditions. Patients and clinicians work together to improve the patient’s health – in which patients have equal access to all data, are case managers of their own illness and co-producers of their own health. Primary care professionals become gateways not gatekeepers. A website that gives patients access to the data and information in their electronic health record. Can also be used to book appointments and order repeat prescriptions. A set of records that the patient controls and enables users to see who wrote what when and what for. PHI (Protected Health Information) any health or health related information that can be related back to a specific patient. PHI is subject to HIPAA regulations. 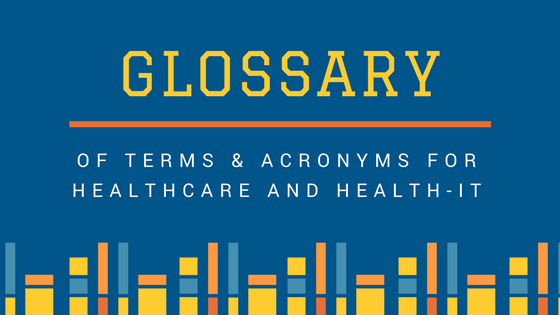 SNOMED (Standard Nomenclature of Medicine) a comprehensive, hierarchical healthcare terminology system. The use of technology to enhance the quality and cost-effectiveness of care and support and improve outcomes for individuals through the application of technology (including, but not limited to, the use of telecare, telehealth, and mobile health and wellbeing) as an integral part of the care and support process. The continuous, automatic and remote monitoring of activity/lifestyle changes over time, providing real time alerts or calls for help in emergencies and helping to manage the risks associated with independent living, enabling people to live independently for longer, particularly those who require a combination of health and social care. Telehealth involves the consistent and accurate remote monitoring and management of a health condition including vital signs monitoring. 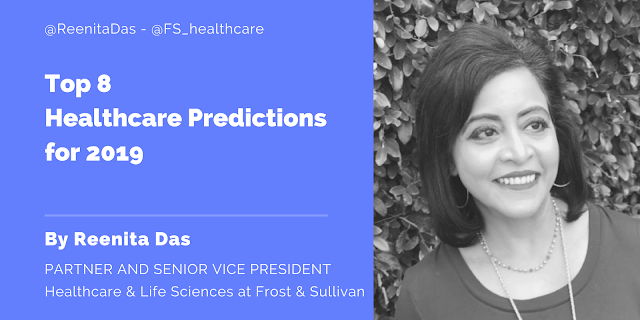 It involves the exchange of information between patient and HCPs to identify trends or changes in the patient’s condition, helping to avoid hospital admissions, support early discharge and improve self-care. Telehealth helps educate, train and support people to self-care. Telemedicine uses telecommunication and electronic information technologies to provide clinical healthcare at a distance, improving access to medical services and specialists. It permits communications between patient and medical staff as well the transmission of medical, imaging and health informatics data from one site to another. New forms of telemedicine include videotelephony, advanced diagnostics and telemedical devices to support home care. XDR (External Data Representation) an operating system and transport method agnostic mechanism for exchanging data that is encoded/decoded into/from the XDR format. XDM (IHE Cross Enterprise Document Media Interchange) a standard mechanism for including both documents and meta-data in zip format using agreed upon conventions for directory structure and location of files.